20 Songs From The King! Arranged by Jim Beloff. 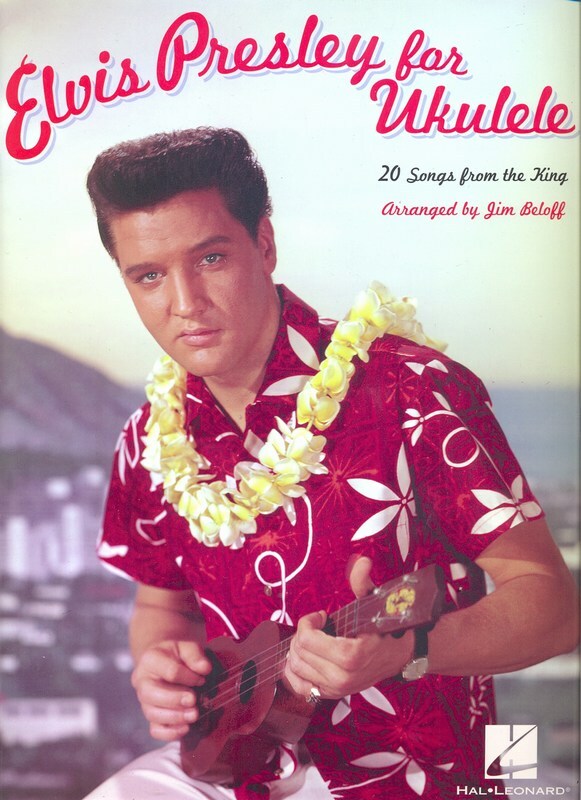 Strum, sing and pick along with 20 classic hits from The King, expertly arranged for ukulele. "All Shook Up," "Blue Hawaii," "Blue Suede Shoes," "Can't Help Falling in Love," "Hound Dog," "It's Now or Never," "Jailhouse Rock," "Love Me Tender," "Return to Sender," "Suspicious Minds" and more. Two of the songs ("Heartbreak Hotel " and "I Need Your Love Tonight") feature uke solos in tab based on the original guitar solos. For GCEA tuning. Notated melody with lyrics, chord symbols and chord diagrams. 72 pp.